The National China Space Administration marked a space exploration milestone on Thursday when it claimed to have landed a spacecraft equipped with a rover vehicle on what is commonly referred to as the dark side of the moon. The Communist government reportedly did not allow celebrations of the success of the mission on social media and deleted tweets touting the historic moment. China’s Chang’e 4 spacecraft achieved the milestone at 10:26 a.m. on Jan. 3 in Beijing (6:26 p.m. PT on Jan. 2), with the country’s space agency landing its lunar probe in Von Kármán crater on the moon’s mysterious far side. Official word was provided at 12 p.m. local time (8 p.m. PT) by Chinese state media service CCTV. It sent back the first photo of the lunar surface a few hours later, via the relay satellite Queqiao (Magpie Bridge), according to the state-run China Global Television Network. Unlike NASA’s history-making mission to Mars in November and the agency’s flyby of the mysterious Kuiper Belt Object 2014 MU69 on New Year’s Day, China’s landmark landing wasn’t televised. Chang’e 4 was launched on December 7 and reached lunar orbit on December 12, according to media reports. The challenge of operating on what is technically the far side of the moon — given it gets sunlight but, because of planetary rotations, never faces the earth — is setting up radio communication. CNET reported that the spacecraft also carried seeds and silkworm eggs to find out if the lifeforms can survive and thrive on the moon. “Other instruments, developed by Swedish and German engineers, will allow the lunar robots to better study solar wind, charged particles that burst forth from the sun’s atmosphere,” CNET reported, adding that the Netherlands and Saudi Arabia also provided payload for the voyage. Celebratory messages from various Chinese government outlets on social media mysteriously disappeared this week as they had appeared before China’s official television announcement confirming the landing. Thursday’s official televised announcement that the probe had landed came approximately an hour after state media outlets China Daily, and China Global Television Network (CGTN) deleted posts on social media proclaiming the mission a success, sparking widespread confusion as to whether the probe had made touchdown. No explanation for the deleted tweets was forthcoming, CNN noted. The landing constitutes a success for China’s space program, which it sees as part of its mission to outdo the United States, even if the National Atmospheric and Space Administration (NASA) put astronauts Neil Armstrong and Buzz Aldrin on the moon almost 50 years ago. China has previously put a rover on the moon. The Yutu rover stopped operating on the lunar surface in 2016 after almost three years of exploration. 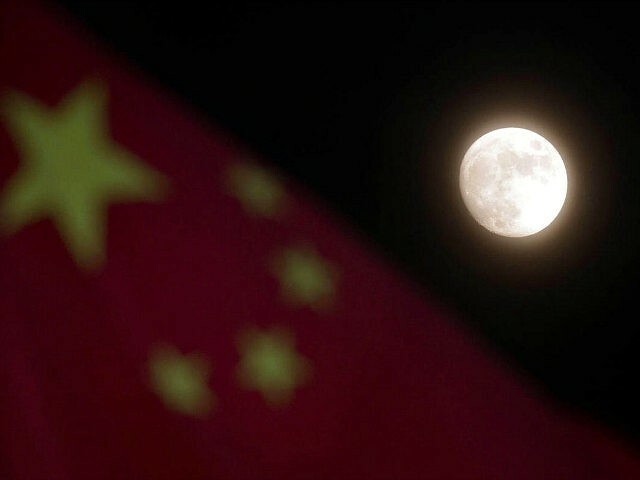 China is the only nation apart from the U.S. and Russia to successfully reach the moon with any device. “China is anxious to get into the record books with its space achievements,” Joan Johnson-Freese, a professor at the U.S. Naval War College and an expert on China’s space program, said in CNN’s report. 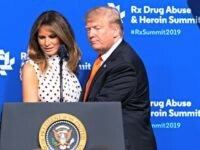 President Donald Trump has been reinvigorating the U.S. space program, including plans to send a man to Mars and creating a Space Force as the sixth branch of the military.